Ok pause for a minute... How the heck is it August already? Like seriously, they ain't lying when they say times go quicker as you get older. It's been quite some time since I shared my current favourites with you all. To be honest, I can't even remember the last time I did but whatevs, we're here now! 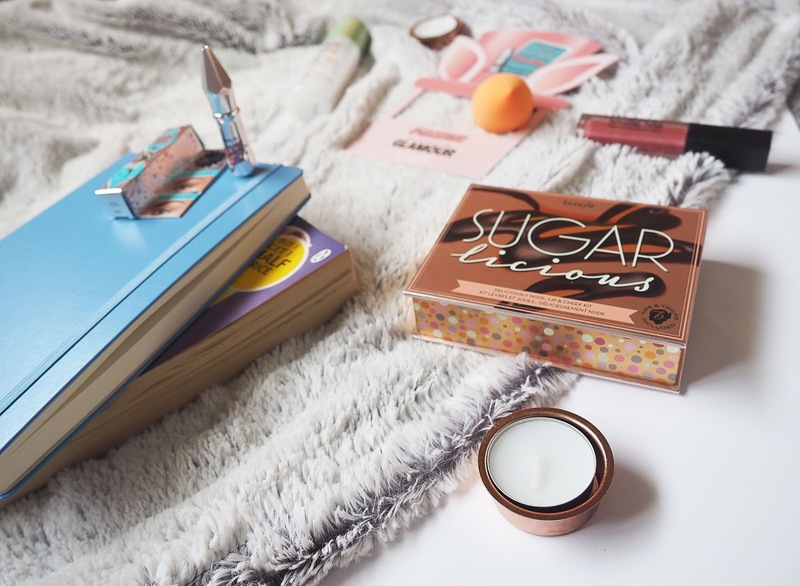 This month was all about discovering a new found love for a few make up items, shock right? Nah, nobody is shocked let's be real. First up we have the Pixi Hydrating Milky Mist. Oh my god this little beauty saved my skin on holiday, I can't stop gushing about it. It deserves all the praise. I personally hate applying creams to my face and body, like I think they're such a faff. I'm all about the easy life, that's why this product is perfect for me. I simply spritz it all over face before I put on my make up and voilà, my skin is left looking healthy and fabulous. Plus, you don't have to wait 10 minutes for it to soak into the skin - bonus. One of the most recent addition to my collection of beauty tools is the forever talked about Real Techniques Miracle Complexion Sponge. Where the HECK has this been all my life? Seriously, I do not know why it's taken me so long to use a beauty blender for my foundation but holy crap, I'm officially converted. Although I have noticed it soaks up a slight amount of product, it still leaves a decent amount on my skin and creates a flawless base. I literally do not think I could use a brush for my foundation and concealer ever again, nuh-uh. If you follow me on Instagram (which FYI if you don't, you totally should - link is here) then you have may already seen this sneaky little purchase that was made at Duty Free. The Benefit counter always draws me in, I can't help myself. Initially, I was going to treat myself to some bits from their new brow range... Until I saw the prices. Girl can't afford to spend over £60 on make up in one go, as much as I'd like to. Then I spotted this, the Sugarlicious Lip & Cheek Kit. Isn't it stunning? That packaging is definitely a keeper. I was already a huge fan of the High Beam highlighter, because who isn't? But I'm amazed at how much I adore the Sugarbomb blush. Having never tried one of the Benefit blushes before (again, due to the steep prices), I never really got the hype. Would I purchase it full sized? Probably not, but I sure am glad it's in this kit. It adds a really subtle yet pretty peachy/pink tint to the cheeks - perfect for those who have a fear of ending up looking like a clown after applying blusher. Hands up if, like me, you've been taking advantage of all the Benefit brow samples that have been included in magazines across the UK the last couple of months. 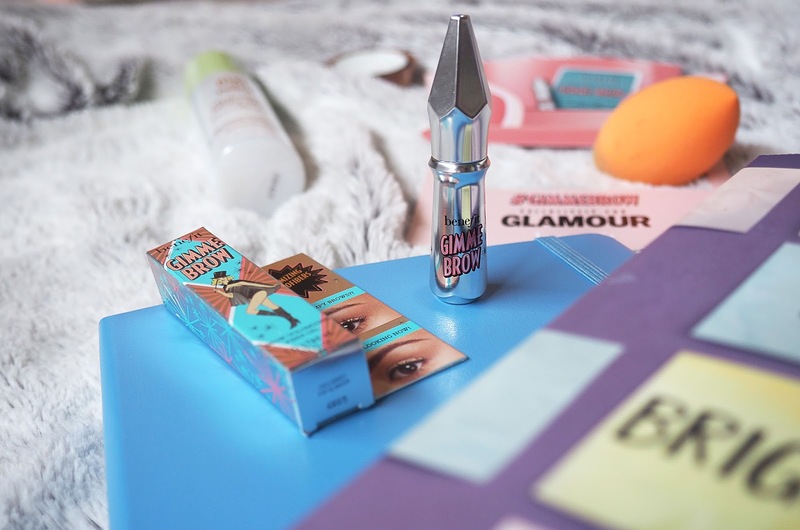 In case you weren't aware, you could get your hands on a sample of Benefit's Gimme Brow in last month's Glamour magazine. £2, bargain. As soon as I gave it a whirl, I knew it'd be going straight in my favourites. I won't lie, I do wish I was able to get my hands on a lighter shade as 'Shade 5' is a teensy bit too dark for me. When used sparingly though, it's absolutely fab. I use it to set my brows after I've gone in with my ABH Dipbrow Pomade and I honestly cannot fault it. It's most definitely rainproof and will not budge... A fear I commonly have about my brows. The penultimate item included in my July fave's is something a little different for me, it's a book! Holidays are the only time I tend to get lots of reading done, and that is for sure what I did. 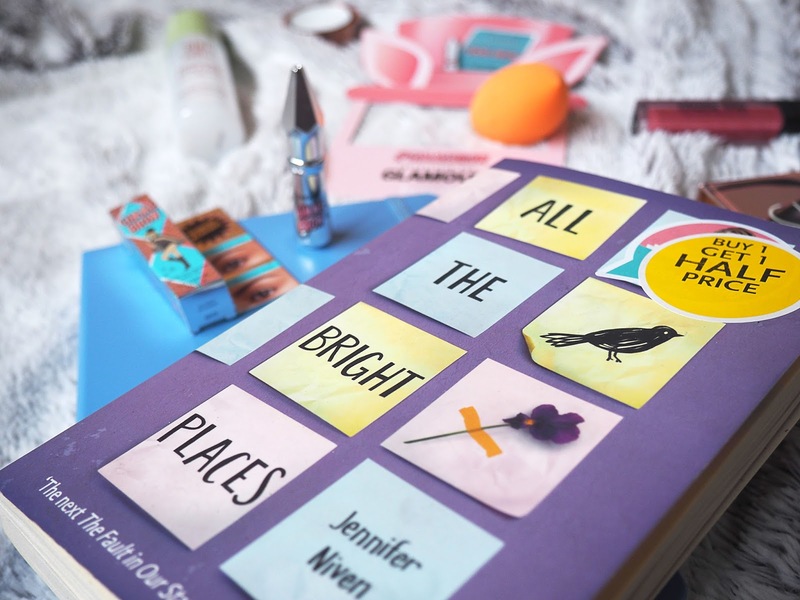 I'm not going to write some long and in depth review about how amazing of a book All The Bright Places by Jennifer Niven is, that's for you to go and find out. If you enjoy books that are full of raw emotion, this is the one for you. Although it's an easy read, you find yourself so attached to the characters and their thought processes, I just can't explain. Just read it ok! Last but not least, I don't know if I can really count this as a favourite yet but... I'm gonna anyway because yolo. It's my soon-to-be-started scrapbook. My plan is to fill it with lots of different memories, but in a journal sort of way. A mixture of washi tape, polaroids and short sentences is the aim but nevertheless, I'm sure I'll have a post on it once I get started so keep a look out for that. What were some of your favourites from July? I'm loving Benefits new brow products! I actually bought the powder and brow gel, but i used a travel size version of the cream-gel and absolutely loved that! I'm really really keen to read that book, I've heard such positive things about it! I'll swap you the benefit brow gels haha I have shade 1 and I need shade 5! I prefer to use a beauty blender when I apply my foundation, however I don't like the RT BB :/. It is just too gummy for me. I love your July favourites, honey! All the bits and pieces from Benefit are so lovely. What would I do without my High Beam (& Sun Beam) :) Also, I can't apply my foundation any other way but with Beauty Blender. Have never tried the RT one though. 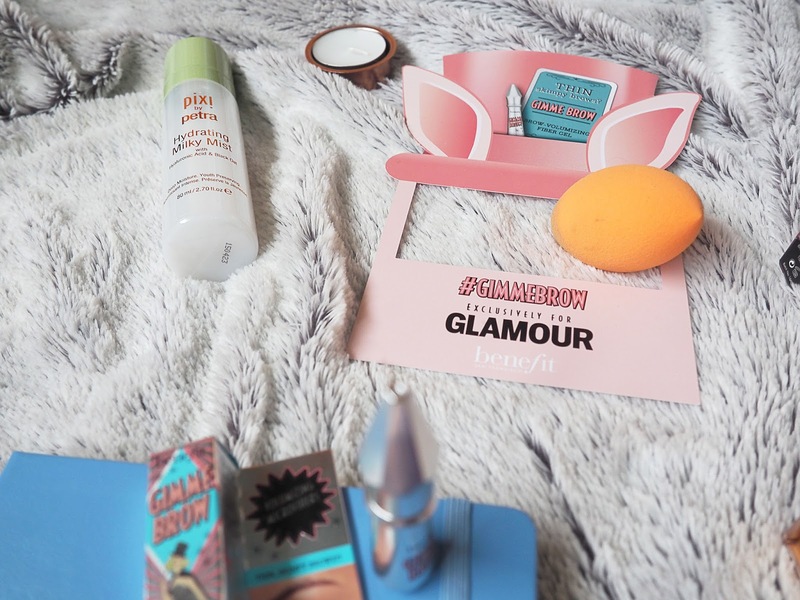 That hydrating mist by Pixie sounds like a must-have!! The shade I got of Goof Proof is WAY too dark, I literally can't make it work! I love the RT beauty blender. I don't tend to use it for foundation any more as I noticed it ate quite a lot of product and they're hard to clean, but I use it for blending cream contours. I really want to try the Pixi facial mist and other Pixi products. I'm seeing them recommended everywhere!